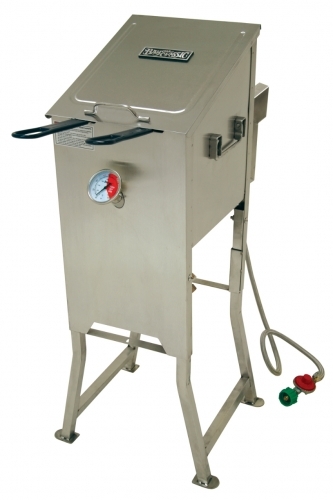 With Bayou Classic Deep Fryers, grilling doesn’t have to be your only outdoor cooking option. 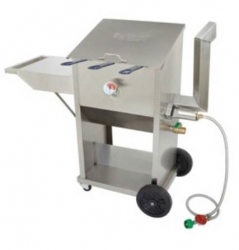 J&N Feed and Seed stocks specialty outdoor cooking fryers manufactured by Bayou Classic of Brandon, MS. We are a distributor for Bayou Classic Deep Fryers and currently stock the classic stainless steel fryers in 2.5 gallon, the 4 gallon and 9 gallon models. 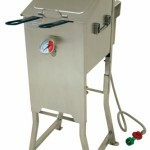 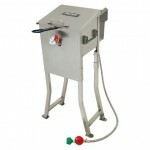 The built-in temperature gauge helps ensure that your food always comes out perfectly done and the two or three included fryer baskets allow you to cook several different things at once Included with each models is 1,2 or 3 stainless steel mesh baskets, thermometer, drain valve, high pressure preset regulator, brass control valve and stainless braided hose.